BHP Billiton (BHP), the world’s dominant producer of manganese, last week slashed the price of manganese for delivery to China, the world’s dominant consumer, by 14%, arousing the suspicion that the Big Australian is aiming to drive rival producers from the business, and when Chinese steelmaking is expected to revive next year, corner a larger share of the market. Ironically, the price action may also accelerate the exit of the Australian independent Consolidated Minerals from Australia, where costs are now close to the break-even level, towards African operations. 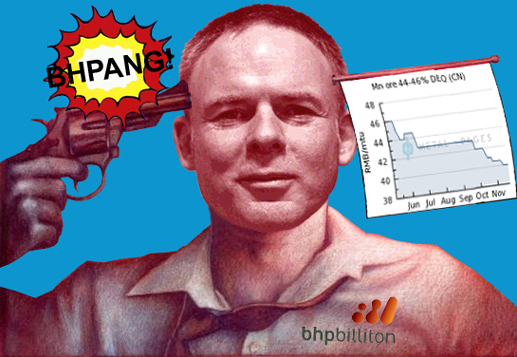 What then can be expected to be the response of the Big Chinaman, whose attempts to develop an independent source of global supply through an offshore company called OM Holdings, have proved disastrous, even before BHP fired its coup de grace. And what does the Big Ukrainian, Gennady Bogolyubov, owner of Consolidated Minerals and Ghana Manganese Company, the last independent manganese group in the marketplace, think the future holds? The writing on the wall for manganese mining has been bad news for weeks. Chinese imports peaked in May and then again in September at almost 1.3 million tonnes per month. But Chinese steelmills, which require manganese to harden steel products, have cut their production – from 717 million tonnes in the first week of September, annualized basis, to 604 million tonnes this week, annualized. Imports of manganese managed to hold steady at 1 million tonnes per month until Chinese steelmakers and traders began to lose their nerve. Inventories of manganese at ports, principally in the Qinzhou and Tianjin areas, climbed between last September and this May; tailed off a little during the summer; and are now rising again. Even if forecast Chinese steel production goes back up above 700 million tonnes per year by February next, there is enough inventory in China and enough supply of manganese ore in global reserve to hold down a recovery in the manganese price, and thus in earnings and profits. BHP is the largest producer of manganese in the market turning out just over 2 million tonnes in the September quarter; that was up 13% on the previous quarter, but down 5% on the year earlier. Most of the manganese comes from mining in South Africa, followed by a mine in Groote Eylandt, in northern Australia. According to BHP’s annual report for the financial year ending June 30, 2011, manganese sales generated US$2.4 billion; that was just 3% of the company’s total sales figure. Earnings (Ebit) from manganese for the year came to $712 million, 4% of BHP’s consolidated total. Little though manganese may be worth to BHP, relatively speaking, its capacity to keep manganese in the ground by holding down the price has a big impact on the pure or independent manganese miners, on whose futures China has wanted to have at least as much say as BHP. Suspicion of BHP’s intentions has fuelled rumours that it is planning to expand its manganese ore sales next year by one million tonnes – enough to frighten new manganese miners and intimidate the balance-sheets of the smaller ones already operational. There are several junior manganese miners seeking to expand from a mine base in South Africa. The notable Russian among them is Victor Vekselberg’s United Manganese of Kalahari (UMK). UMK remains private and unlisted, a hostage To changing geopolitical fortune which tarted in Ukraine. 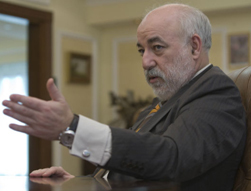 There, when Vekselberg (right) first planned his mining project, he was also aiming at securing a captive supply relationship with the Ukrainian ferromanganese refinery at Nikopol. But that was lost to the Ukrainians, Gennady Bogolyubov and Igor Kolomoisky. In South Africa, inadequate rail and road capacity to carry manganese ore to port for export is another anti-competitive weapon in the hands of dominant producers like BHP. Vekselberg has proved to be politically too weak in South Africa to gain enough room on the railway for as much as his mine can produce, despite the lobbying the Russian government undertook for him in Pretoria. In consequence, there have been reports that Vekselberg has been looking to sell out; none substantiated. The largest of the independent manganese miners globally are Consolidated Minerals (Consmin) and OM Holdings (OMH). Both have ties to African manganese reserves, though for the time being it is Consmin which is already operational in Africa. OMH is a minority stakeholder in Tshipi, a South African mining project which has yet to materialize. In Ghana, where Consmin operates the Nsuta mine, the company produces 55% of its total manganese output, compared to 45% at the Woodie Woodie mine in Australia. For Consmin, total manganese resources in Africa comprise 56%, in Australia 44%, of the company’s total of 68.3 million tonnes. Consmin reports that in the third quarter it managed to lift ore output to 825,000 tonnes; that’s up 23% over same period of last year; sales rocketed by more than double over last year to 941,000 tonnes. To compare with BHP, Consmin produced 2.4 million tonnes of manganese ore in the nine months to September 30, representing a growth rate of 18%. Sales grew even faster, and despite a shrinking manganese price, sales revenue for the 9-month period were $536.4 million, up 14%. Earnings, however, slipped on the rising Australian dollar and on expanding inventories. Cost data are not available, but it is believed the cash cost of mining in Ghana is well below that of Australia, as are the shipping costs. Consmin was acquired in 2007 in an open bidding contest for shares on the Australian Stock Exchange by Ukrainian metals magnate Bogolyubov. It was then delisted, although it continues to issue regular audited financial and production reports. Consmin is now being reorganized to streamline the Australian management and reduce costs. In that process, the Ghanaian operations and projects under consideration elsewhere in Africa have a cost-effectiveness and profitability lead over the Australian operations. The geography of the Ghanaian mine source, and relative shipping costs, mean that roughly three-quarters of Consmin’s Australian manganese shipments go to China; less than half from Ghana to China. Ghana supplies half of its output to the Ukraine, and its market plan is thus more diversified, less dependent on China. The manganese mining independent rivalling Consmin is OM Holdings (OMH), which is listed on the Australian Stock Exchange, but whose control shareholding is based in China. Virtually all of OMH’s manganese is sold to China. . For several months OMH’s share price has been plummeting to its lowest level since July 2007. From a peak this year of A$1.57 on February 8, it is currently between 39 and 41 cents. 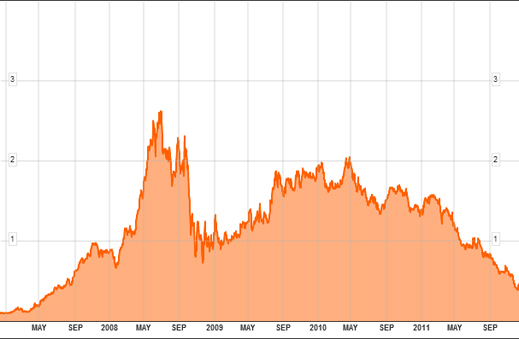 The lowest price on record was 7 cents in July of 2006. OMH has been in an acrimonious war with minority shareholders — including Bogolyubov with an 11.4% stake — over the Chinese shareholders’ attempt to increase their control of the company at the expense of the minorities, and issue new shares in an IPO in Hong Kong. Bogolyubov lost an Australian court bid to sanction the company for the IPO attempt; he also failed to muster enough votes to appoint new independent directors to the OMH board. However, the IPO was not approved for listing by the Hong Kong Stock Exchange and the Hong Kong regulator, the Securities and Futures Commission (SFC). The company’s control shareholders are not disclosed by the company. It is likely they have reason to challenge the OMH management’s strategy of diversifying into iron-ore mines in Norway, Sweden and Australia, as OMH’s stakes of 16% in Northern Iron and in Scandinavian Resources, and 8% in Shaw River Manganese have collapsed in market value. Put up for sale by OMH on June 30 at a book value of A$103.6 million, their current market capitalization is just A$43.1 million – down 59%. In terms of mine output, sales revenues and geographical spread, OMH is smaller than Consmin and more vulnerable. Its last financial report for the half-year to June 30 shows sales at A$161.7 million (up 22% on the same period of 2010), with volume of shipments up 35% year on year at 721,135 tonnes. Comparing Consmin and OMH on an average quarterly basis for mine production, Consmin is more than three times larger. OMH has publicly blamed Bogolyubov for its troubles. 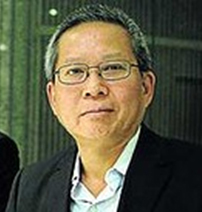 “The significant noise associated with the repeated public and legal attacks by Stratford Sun [Consmin, Bogolyubov stakeholder in OMH] and their associates have wasted Shareholder’s money and management’s time,” claimed board chairman Low Ngee Tong (right) in an announcement to the Sydney exchange on September 1 – “without any real benefit to Shareholders collectively.” Low has not revealed the number of his past approaches to Bogolyubov. Notwithstanding, Consmin “is a direct competitor of OMH,” Low said after surviving a vote of confidence in which 21% of the shareholders voted to replace him on September 1. Bank talk like that leaves OMH’s share price with no direction to go but down, while BHP’s move is almost certain to slow down the Tshipi project; in February of this year OMH had been forecasting full-capacity shipment of 2.4 million tonnes of manganese ore per year by 2013. According to Macquarie, the promoters of Tshipi cannot afford this. “We had been expecting a sharp reduction in price, but this goes beyond even our bearish expectations and leaves prices 30% lower than this time last year as well as reducing the average price for this year to little more than the market achieved in 2009… At these latest price levels, low-grade Mn ore mining operations reliant on road transport in South Africa would be cash-negative, on our estimates, despite the depreciation of the rand. We would estimate some other high-cost Mn ore mining operations elsewhere in the world would also come under financial pressure at these price levels. So how will Consmin fare? There has been some speculation in the Australian market that Bogolyubov was softening up OMH to make a takeover offer, despite the bitter recriminations expressed in public. Consmin has disclaimed any takeover interest, and concentrated instead on internal reorganization and rebalancing its markets between Asia and Europe.